Raffles; Door Prizes; and plant sale. Everyone welcome! 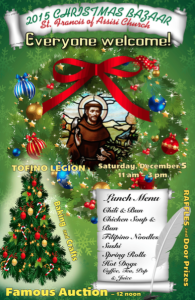 Tofino Legion, 11am - 3pm Baking and Crafts Raffles and Door Prizes Lunch Famous Auction at 12pm and more!